Posted by Erick Engelhardt | April 18, 2019. 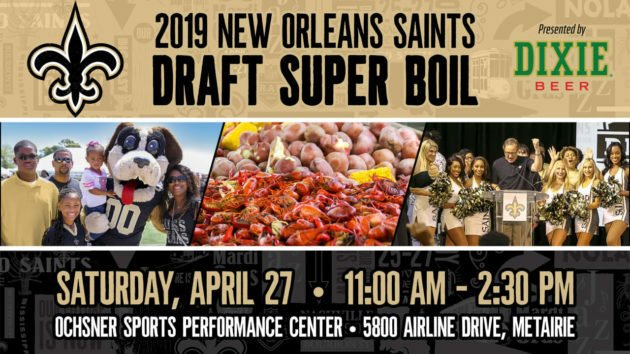 The New Orleans Saints and Dixie Beer are teaming up to host the 2019 Draft Super Boil on Saturday, April 27 from 11:00 a.m.- 2:30 p.m. at the Ochsner Sports Performance Center (5800 Airline Drive, Metairie, LA). Due to a successful pre-sale to our season ticket holders, a very limited number of Draft Super Boil tickets are on sale now to the public. Get your tickets HERE. 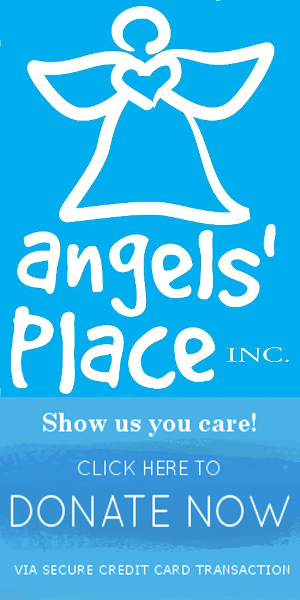 Proceeds from the event will be donated to the Louisiana Philharmonic Orchestra (LPO), a nonprofit organization that is dedicated to maintaining live orchestral music and a full-scale symphonic orchestra as an integral part of the cultural and educational life of the New Orleans area, the entire state of Louisiana, and the Gulf South region. 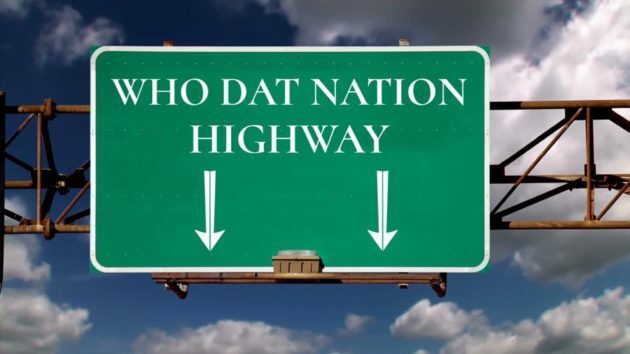 The Louisiana band, D-Play, will perform during the Draft Boil, which will also feature interactive Saints elements for those attending. 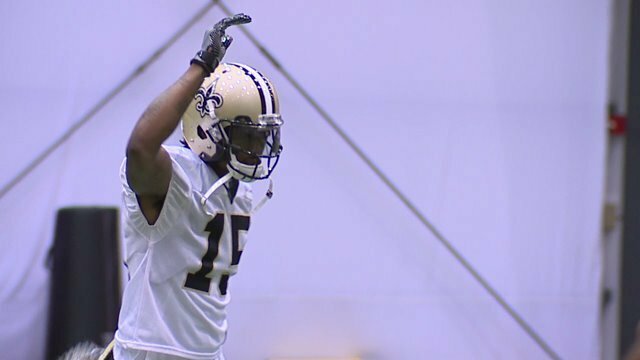 Fans will also be able to watch the 2019 NFL Draft on televisions at the event, as the Saints currently have six selections in rounds two through seven (five on Saturday). Tickets are $25 (Limit of 8 per account). Admission includes crawfish, jambalaya, hot dogs, Coca-Cola soft drink products, water, Dixie, Dixie Light and Dixie Blackened Voodoo Lager (21 and older). The Draft Super Boil will include special appearances by current and former Saints players, Saints Mascots, and Saintsations. 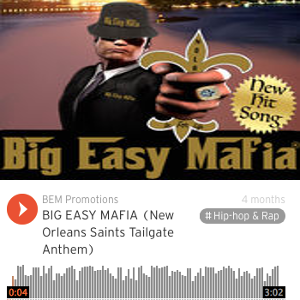 Complimentary parking will be provided in the New Orleans Baby Cakes parking lots. Tickets for the event can be obtained by clicking HERE! 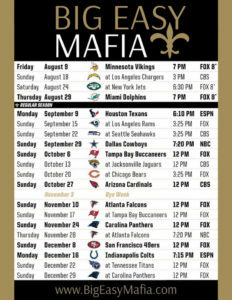 The 2019 Saints schedule features four primetime games, including a Week 1 home matchup on Monday night against the Houston Texans and another on Thanksgiving in Atlanta against the Falcons. Posted by Erick Engelhardt | April 2, 2019. Posted by Erick Engelhardt | March 28, 2019. Posted by Erick Engelhardt | March 15, 2019. A news release from Prior Military Productions, a West Hollywood group that works with disabled veterans in the film industry, said filming is expected to begin in the summer. Ten disabled veterans are expected to work and learn with a Louisiana crew. “We wanted to make a film with impact reflective of social events. 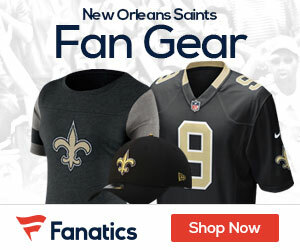 The tragedy that befell Saints fans needs some kind of retribution,” said Joanne Busch, the company’s president, in a news release. No director has currently been chosen, but Danny Devito has been tapped to play a “Cajun sheriff.” Ed Helms, known for roles in the hit TV show “The Office” and movies including “The Hangover” and “Tag” is in talks to play the title character, the release said. The story is written by one of the veterans working with the company and centers around fans “bound and determined to get the ref who missed the call.” That sounds just like something the Big Easy Mafia would be involved with. 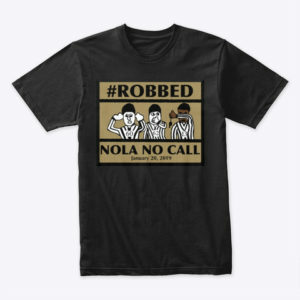 The play referenced in the movie occurred late in the Saints’ loss to the Los Angeles Rams in the NFC Championship on Jan. 20. As Drew Brees uncorked a third-down pass to Tommylee Lewis, Rams defender Nikell Robey-Coleman ran through him well before the ball arrived. 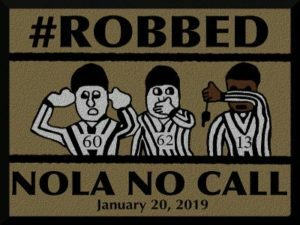 No penalty was called and the Saints were forced to kick a field goal with enough time remaining for the Rams to drive for the tying score. Los Angeles would win 26-23 in overtime. Posted by Erick Engelhardt | March 5, 2019. 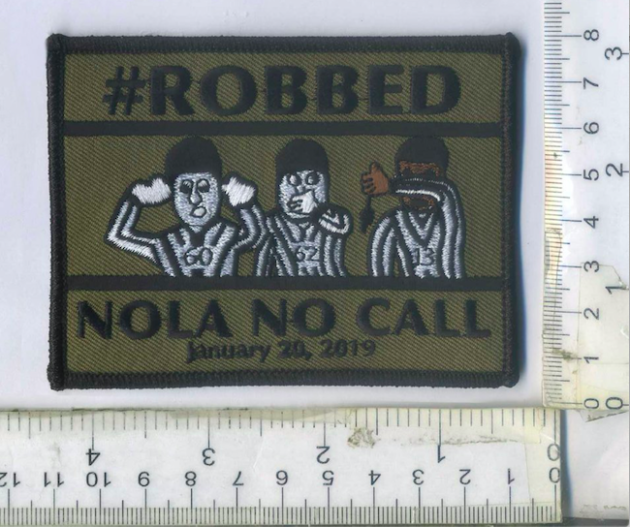 New Orleans is still very angry after its loss to the Los Angeles Rams in the NFC Championship thanks to a blown call on the part of the refs. We won’t forget it and we won’t let them forget it either. 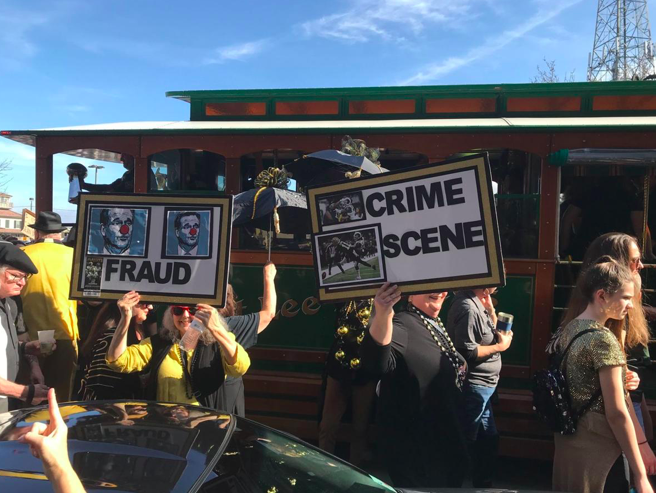 New Orleans is Petty because we’re Passionate, that goes hand in hand. 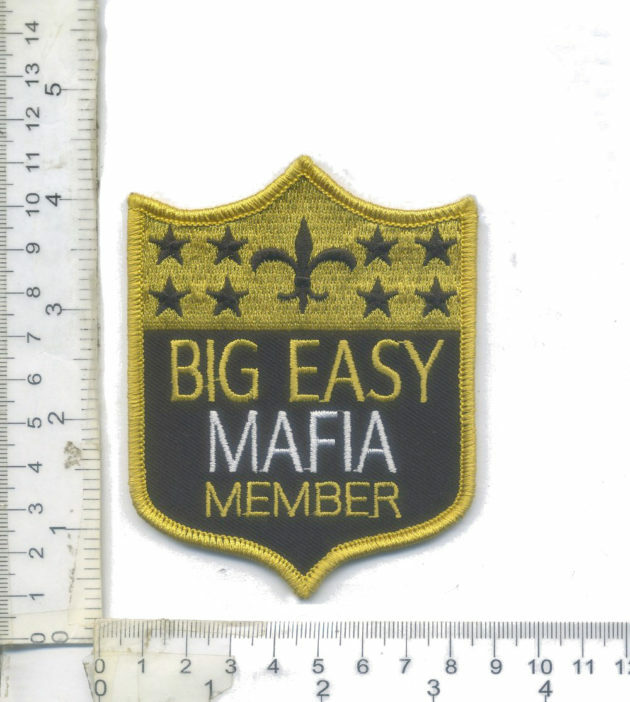 We have created jersey patches, T-Shirts, Mardi Gras throws, Mardi Gras floats, songs, etc. with many more to come for the upcoming 2019 season. 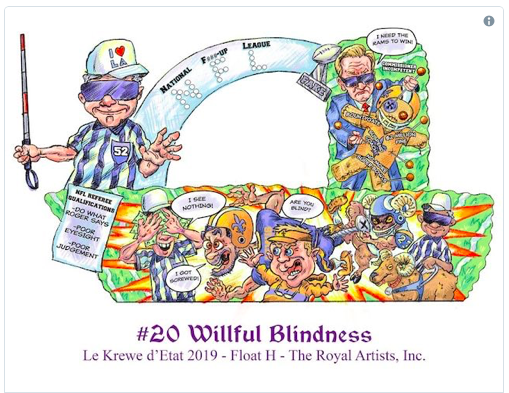 The group dressed as blind refs with an image of commissioner Roger Goodell as a clown on the back of the shirt. 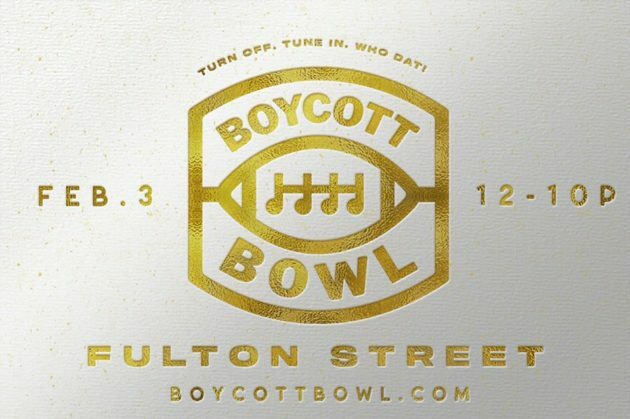 The top of the float had “NFL” spelled out in Braille. Posted by Erick Engelhardt | March 2, 2019. 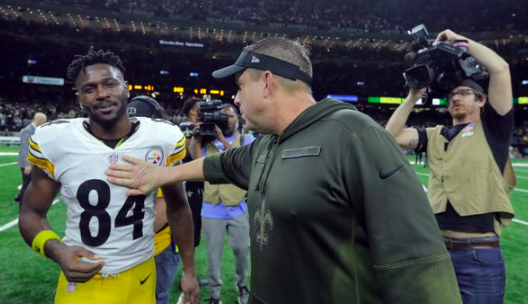 The New Orleans Saints would seem to be looking to add an offensive playmaker this offseason, but coach Sean Payton said Friday (March 1) the team has not yet reached out to the Pittsburgh Steelers about star wide receiver Antonio Brown. Brown has requested a trade, and the Steelers have said they will look to move him this offseason. 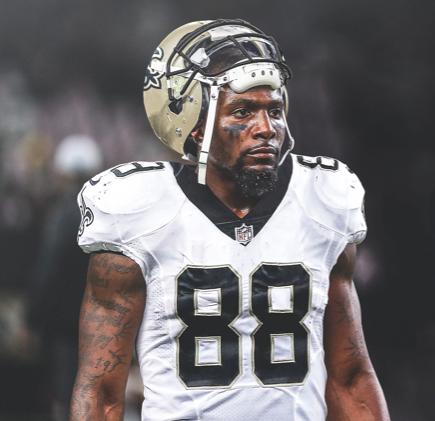 The 30-year-old receiver is a four-time All-Pro, has averaged 114 catches for 1,524 yards the past six seasons and likely would improve any team he joins immediately. 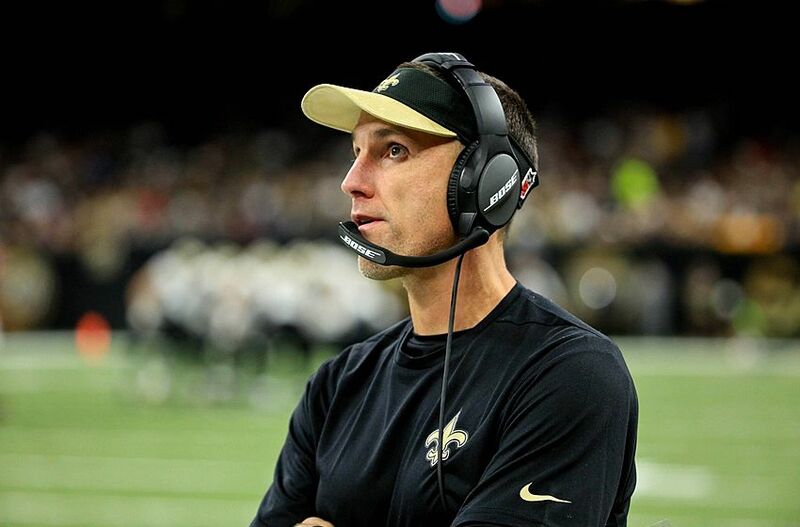 NFL Network’s Michael Silver tweeted on Friday to “keep an eye on the Saints” in regards to the pursuit of Brown, but for now, based on what Payton said, the team’s interest is unclear. 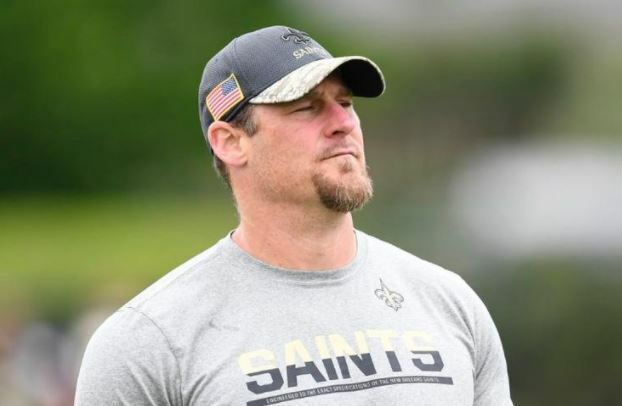 The Saints have limited assets if they were to pursue a trade as their only draft pick in the first four rounds this year is the 62nd overall pick in the second round. Brown is also due base salaries of $12.625 million in 2019, $11.3 million in 2020 and $12.5 million in 2021, which would be increasingly tough for the Saints to pay if they pursue a top-of-market deal with Michael Thomas. 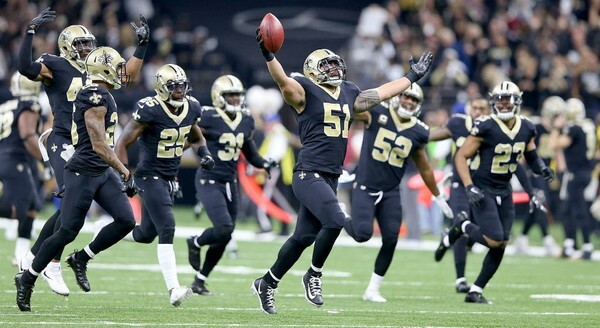 Still, it’s an exciting thought to consider what Brown, Thomas, Drew Brees, Alvin Kamara and others could accomplish together in the Saints offense. Posted by Erick Engelhardt | January 30, 2019. Posted by Erick Engelhardt | January 28, 2019. Posted by Erick Engelhardt | January 21, 2019. There has been a petition created to NFL commissioner Roger Goodell to replay the NFC Championship game against the Rams after the “No Call” on pass interference. I personally think it will do absolutely no good but I also think it will help in the recovery process, like a venting session. So if you want to make yourself feel a little better then you can sign the petition below. Terry Cassreino wrote in his petition. He’s calling for a rematch on Jan. 27. Posted by Erick Engelhardt | January 19, 2019. Posted by Erick Engelhardt | January 2, 2019. Posted by Erick Engelhardt | January 1, 2019. Posted by Erick Engelhardt | December 30, 2018. 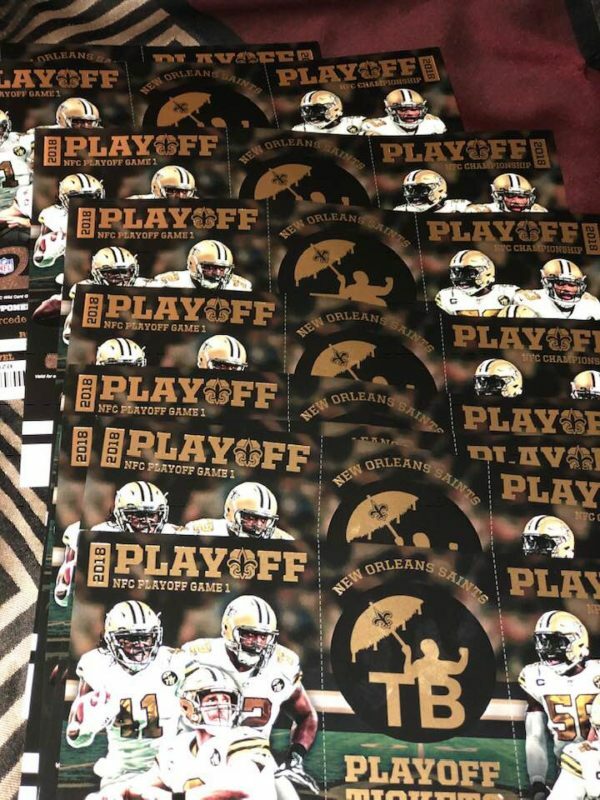 Click Here to be directed to the official Saints ticket page to get guaranteed authentic Saints tickets for a discounted online price. 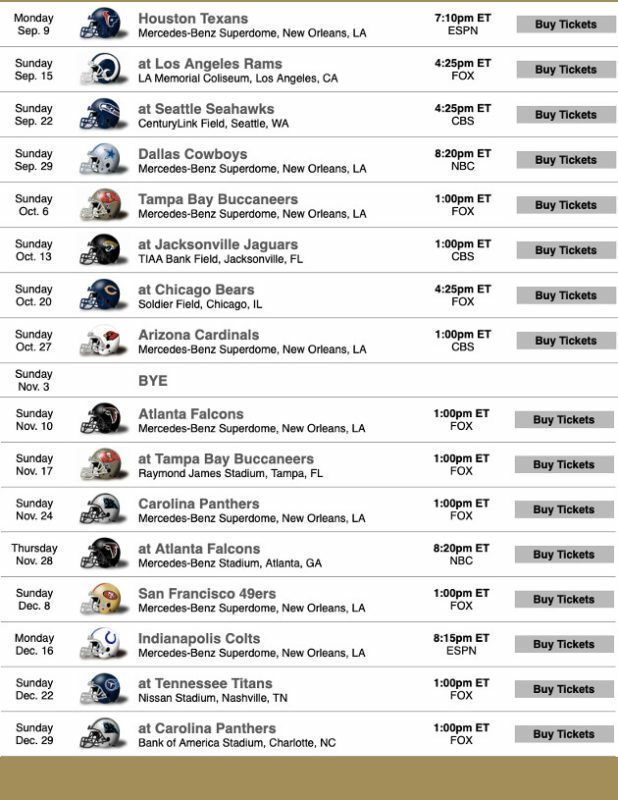 You will be able to view all available tickets for the games. Tickets can be sorted by price or by SeatGeek’s Deal Score system, which ranks listings by value. The interactive maps help fans find the perfect seat, and previews of the view from each section take the guesswork out of the buying process. 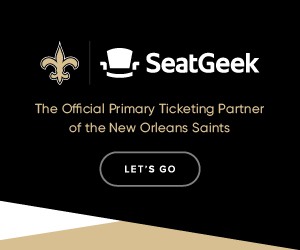 Once you find the right ticket, click on the listing and you will be taken to SeatGeek’s checkout process. Posted by Erick Engelhardt | December 2, 2018. Posted by Erick Engelhardt | November 17, 2018. Posted by Erick Engelhardt | November 9, 2018.